A man who lost an incredible 45lbs in four months has revealed how his transformation has brought him closer to his children. 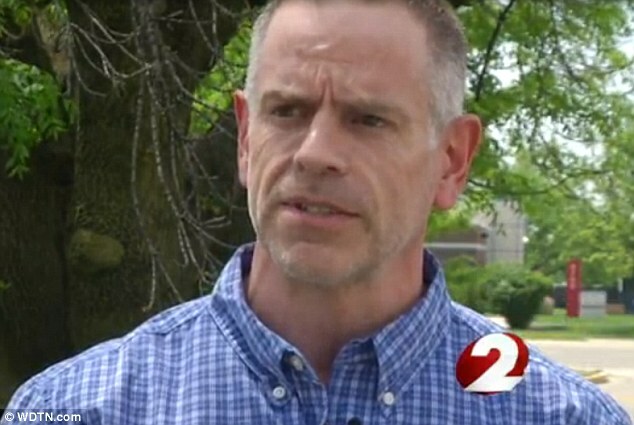 Matt Manning, a 45-year-old engineer from Xenia, Ohio, told WDTN.com that he decided to get in shape after experiencing heart pains and passing out, hoping that a healthier lifestyle would also help him be more active with his kids. So he entered a Bodybuilding.com contest and began exercising every day and eating healthily, tracking his progress throughout. Four months later, he was a staggering 45lbs lighter and infinitely happier – and he won the top prize of $50,000. Mr Manning said he decided it was time to get back in shape after his father – who had always been fit and healthy – had to get a heart valve transplant. 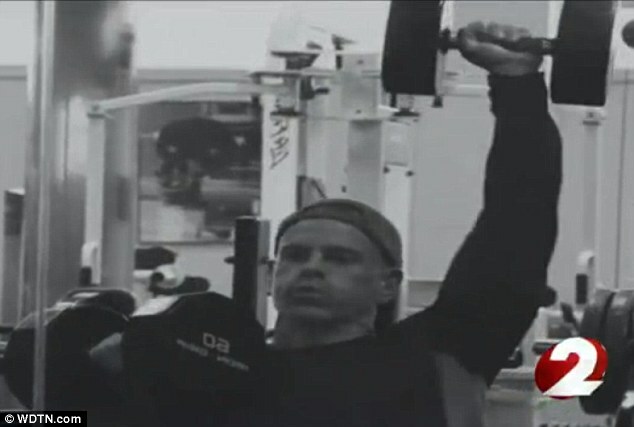 An e-mail about the Bodybuilding.com challenge was all it took to spur him on. 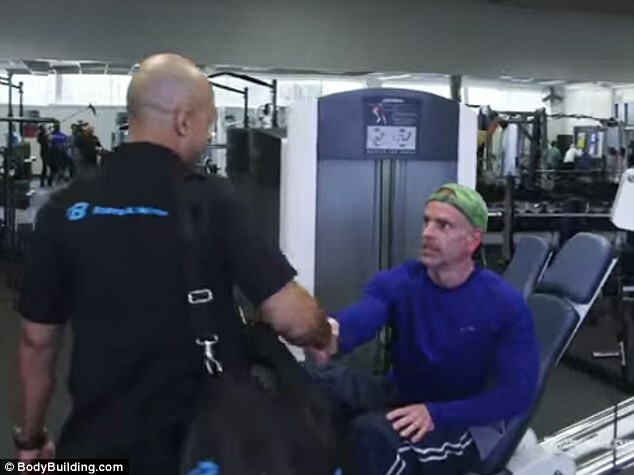 To drop the weight, 5ft 9in Mr Manning – who started the challenge at 213lbs – portioned out his meals, stuck to a healthy diet and incorporated exercise into his daily routine. He also practiced intermittent fasting, which saw him eating all his daily calories between 8am and 4pm, and fasting for the remaining 16 hours of each day. 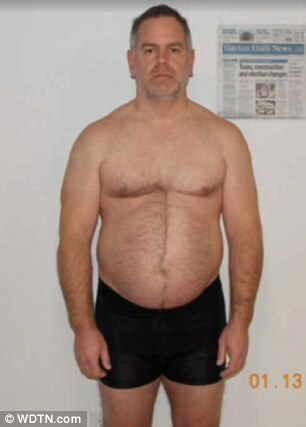 Today, not only is he unrecognizable from the outside, but he’s also lowered his cholesterol and his blood pressure significantly, as well as dropping from 26per cent body fat to just five per cent. Mr Manning cites his wife Candice as especially instrumental in helping him stay on track. 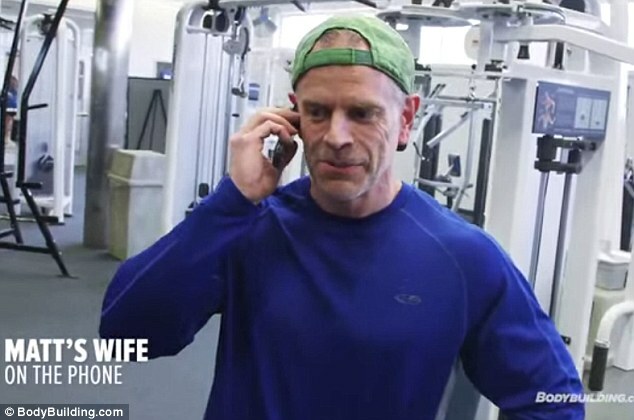 Indeed, when the camera crew from Bodybuilding.com came to his gym to surprise him with the prize money, he immediately called his wife. He then expresses his gratitude for her enduring support. ‘Thank you so much for everything you did,’ he says. ‘I just told them you got up this morning to do more progress photos! ‘Bye, Sweetie, I love you,’ he says, still grinning with disbelief.